What is coxinha? Discover this easy fried or baked chicken using an authentic Brazilian food recipe now. 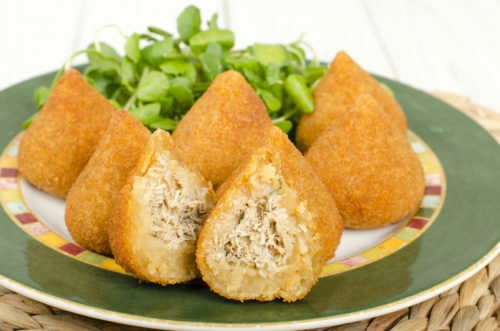 Coxinha (a.k.a. 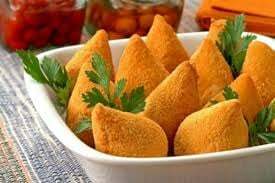 “coxinha de frango” co-SHEEN-ya dee FRAHN-goo, or “coxinha de galinha” co-SHEEN-ya dee ga-LEEN-ya) is a popular Brazilian street food which is a boneless teardrop-shaped croquette containing chicken meat. It is usually eaten as a snack or appetizer. 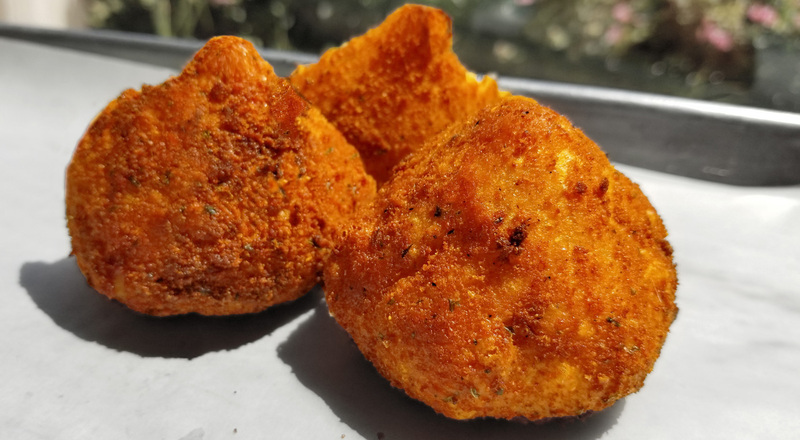 There are currently many variations of these fried chicken bites which use cheese, corn and other vegetables. Where can I get it? You can find this chicken-filled appetizer at many authentic Brazilian restaurants and certain places that serve international cuisine. 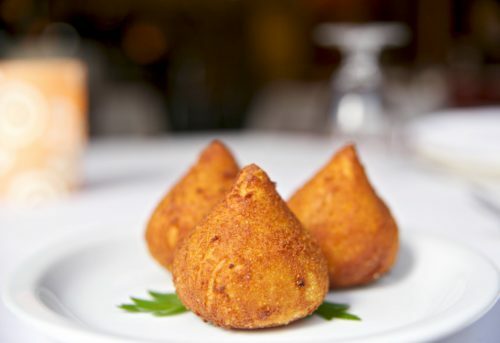 Here are some places across the country known to serve delicious coxinhas. 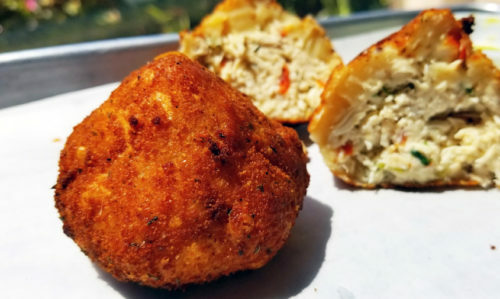 Looking for more places that serve coxinhas? You can find them on Glutto right here. How can I make it? Here is an easy recipe to make your very own Brazilian coxinhas at home. First chop the onion and the garlic finely. Then heat in a pan with butter until they start to brown. Fully mix the shredded chicken, mayonnaise/cream cheese and chives with the lightly browned onion and garlic. Set this chicken filling aside. Place the chicken stock and olive oil in a large saucepan. Add salt to taste, and bring to a simmer over medium-low heat. Once hot, add the flour while stirring constantly for about a minute until a lumpy dough is formed. Remove dough from heat and knead for an additional 5 mins, or until dough has softened and become smooth. On a flat floured surface, separate golf ball-sized pieces of dough and shape them into flat discs. Place approx. 1 tablespoon of the chicken filling in the center of each disc and wrap the dough around, pinching it closed at the top for form a teardrop/drumstick-like shape. 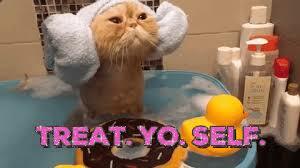 Repeat until all the dough & filling are used. Whisk eggs in a bowl and put bread crumbs (seasoned with salt & pepper to taste) in a shallow pan. Dip the each coxinha in the whisked eggs, then the bread crumbs until fully coated. 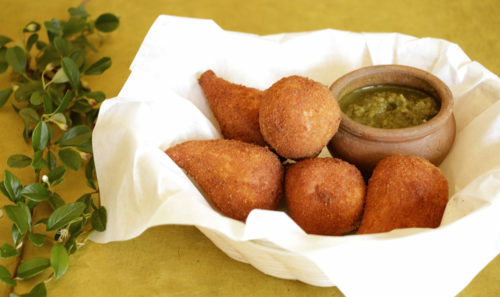 Fry the coxinhas in small batches until golden brown. Enjoy!